A calm and collected cabin on the Maine coast is pretty much the best thing ever, right?... fill it with handcrafted goodness from so many talented artists and craftsmen, and you've created the perfect escape on one of the most beautiful islands on earth, Mount Desert Island. We invite you to visit our Airbnb listing (click here) to book your getaway! We look forward to sharing our cabin and introducing you to some of our favorite artists who are producing heartthrobing work in contemporary craft. Cabin finally complete and ready for guests. We are really looking forward to constantly updating the cabins decor for our guests. 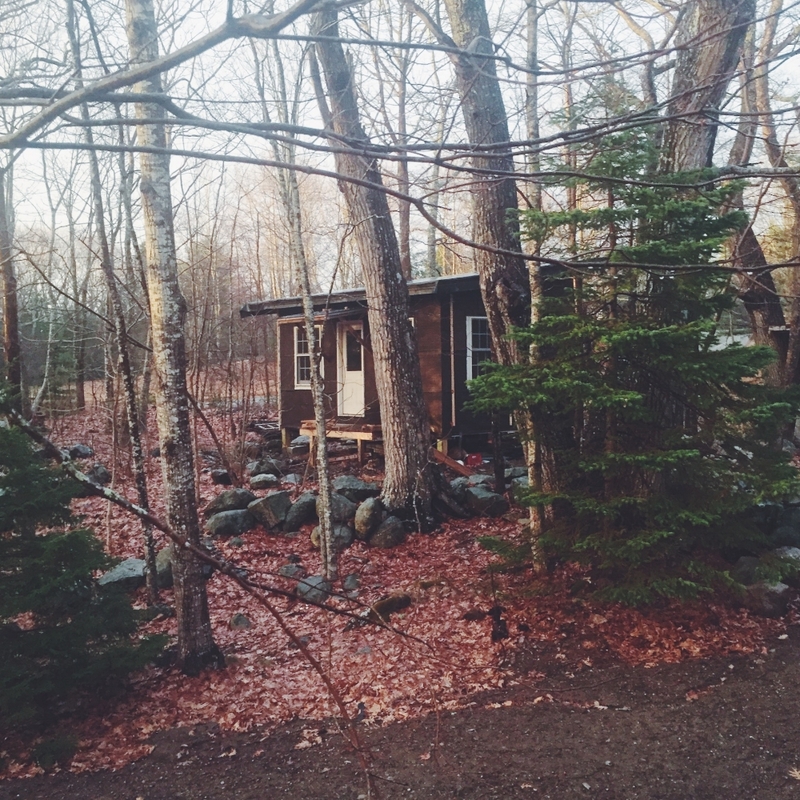 Our Tar-paper cabin in the woods is coming along but not as quick as the annual leaf fall. So our little cabin is coming along, but not before we tend to the fire wood stash necessary for 2017. We joke here in Maine about the seasons and how they each require some sort of interaction with wood storage. Winters in Maine are cozy and delightful. It can be a reflective time of the year but only if you are comfortable and relaxed. This little propane stove is much more powerful than we needed for our little 18 x 20 cabin.